I say all the time, but it’s true: saving money isn’t always about the huge things you do, it’s often about the small changes you make that have a HUGE impact. Today I am going to share four common things you’re probably paying TOO much for and how to fix that. As a reminder, I have new videos every Monday and Thursday on YouTube, so be sure to subscribe so you don't miss anything! 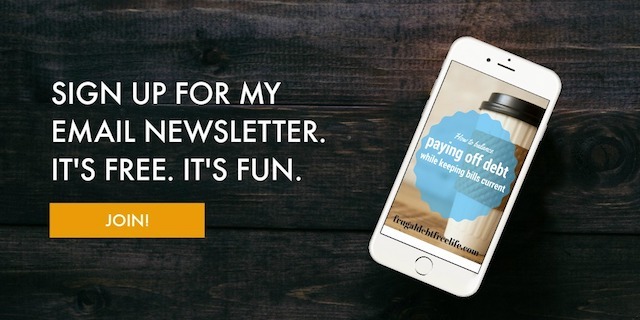 Also while your at it, subscribe to my newsletter for all the goodies! For years we were with one of the big four cellphone providers. And our cellphone plan was hundreds of dollars a month. As soon as our contract was up we ditched our provider and went to Straight Talk. So we switched to StriaghtTalk. I was able to keep my phone (a dino of an iPhone 4) and my number. Jason opted to get a new phone but kept his old number. The transition wasn't the smoothest and their customer service is terrible, but our reception was better than it has been in months and we are saving a lot of money. I know that programs like Republic offer unlimited talk and text plans for as low as $10 and Cricket has a talk, text and 2 GB of data for just $35 a month. And then there is Mint who offers plans for just $15. In the same caveat, you probably overpaid for your actual phone. Personally I haven’t bought a brand new, out of the box phone, in a decade. I buy refurbished phones. I buy most of them through my service provider, I have gotten some from Amazon or eBay and I personally have had ZERO problems. I hate the idea of financing a phone, even if that only means paying extra on your phone bill to cover the cost. This is going to sound harsh but, if you’re having to make monthly payments on a new phone it means you cannot afford the phone. I highly recommend doing a regular audit of your auto, renters or homeowners insurance. See if you’re getting the best deal and if not look elsewhere. If you have no claims, a clean driving record and you pay your bill on time, your auto insurance should go down every few years. If that hasn’t happened it’s time to look for someone else. We were able to save $25 a month on our internet just by calling and asking. By signing up for auto pay, signing a contract and buying our modem instead of renting, we slashed our internet bill by $25. Ask the right questions. Okay, this isn’t going to work for everyone. But call your energy service provider and ask two questions. Do they offer off peak hours? Do they offer prepaid billing? Off peak hours are less expensive because fewer people are using energy during that time. I called my power company and learned that off-peak hours were after between 8:30 a.m. - 2:30 p.m. and 9:30 p.m. to 5:30 a.m.
During off-peak hours power companies need to buy less energy so they charge less per kWh, up to 40%. So running your dishwasher at bedtime or in the middle of the day will save you big! hours when fewer people are using their energy. I called my power company and learned that off-peak hours were after between 8:30 a.m. - 2:30 p.m. and 9:30 p.m. to 5:30 a.m. So running your dishwasher at bedtime or in the middle of the day will save you big! Our electric company also uses a prepaid billing feature called SmartHub. This is based on our daily usage and not a monthly meter reading (which is often inaccurate). We put money into our SmartHub account at the beginning of the month (it’s an auto draft). And we are ale to track our usage and see when we are using more or less energy and where we need to adjust.